Yesterday, about 600 new graduate nurses had their hopes raised and then dashed when the ACE system malfunctioned badly. Graduate nurses were mistakenly sent an email congratulating them on gaining a Nurse entry to practice (NETP) position at Auckland DHB. If you were one of those nurses, we feel for you, it must have been a tough day. ACE assures us this is a one-off and that’s good to hear because NZNO believes the system is a really good way of matching new grads with jobs. We can’t help noting that this mistake wouldn’t have happened if the Government funded a NETP position for every new grad nurse. We believe this is the only answer for a fair, well-supported and sustainable nursing workforce that can take us into the future, and you can count on us to keep pushing for that. Tags: ACE, NETP, new grad, student | Permalink. NZNO associate professional services manager Hilary Graham-Smith talks about the realities of too few Nurse Entry to Practice (NEtP)places and too many new grad nurses not getting the support they should have. It’s a busy time of year for everyone, especially for the hundreds of newly graduated nurses out there who have just got the results of their state finals and are now looking for jobs. It’s tough out there. We know it. And that’s why we’re feeling pretty disappointed that the Minister of Health is putting out press statements painting a rosy picture of the nursing landscape. NZNO, and the other national nursing organisations have a goal of 100% Nurse Entry to Practice places for all new grad nurses by 2018. We’re pushing hard to make it happen and pursuing every avenue for change. The results of the latest Advanced Choice of Employment (ACE) round for graduating nurses makes for depressing reading. Of the 1451 applicants including first time and repeat applicants, 51% (735) gained employment in a Nurse Entry to Practice programme. November 2015 graduate numbers were 1245 and of those 568 did not gain employment through the ACE round. We can endlessly slice and dice the numbers every which way but the point is that we still have large numbers of graduating nurses who do not gain employment on a NEtP programme. Just hold that thought in your head as you read on. The Minister’s press release celebrating this will have been of no comfort to unsuccessful applicants and makes those of us who know the real story shake our heads in dismay. For the Minister to say “This result is in line with the pattern seen in the first four years of ACE” suggests that the status quo is OK? Really? 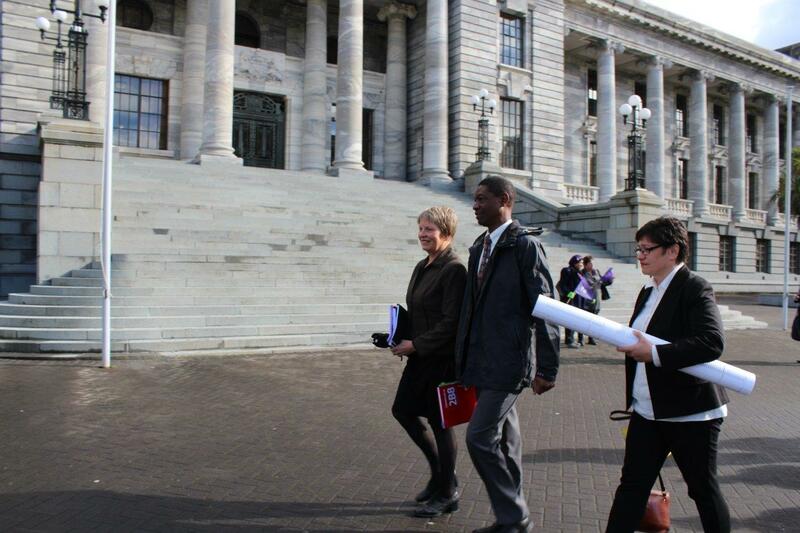 In November 2013 the National Nursing Organisations convened a workshop with Health Workforce New Zealand (HWNZ). The purpose of that meeting was to inform HWNZ’s and the Office of the Chief Nurse’s direction for education, workforce development programmes and innovations. It was agreed that one of the key action points from that meeting should be “a balanced approach to the nursing pipeline, including full utilisation of Nurse Entry to Practice funding to support a goal of 100 per cent employment of new graduates”*. The timeframe for achieving this was 2018 at the latest. One could reasonably expect that two years on we would see some improvement in the numbers of new registered nurses being employed through the ACE programme. Remove the gloss and spin from the rhetoric and the fact is that the registered nurse workforce is being disadvantaged by systemic unfair funding models that do not recognise it as the largest health workforce in New Zealand and one that is pivotal to providing safe and effective care for our populations and communities. Yes the issues are multi layered as are the solutions, yes there needs to be collaboration between the education providers and employers and yes we need a strategic plan that takes account of the nursing workforce shortage predicted for 2035. But first of all we need an equity lens passed over the funding that is made available to nursing, in particular our new graduate nurses. * (Summary of selected themes and some agreed actions that emerged from discussions at the Health Workforce New Zealand (HWNZ) Nursing workshop held on 29th November 2013). Tags: funding, NETP, new grad, nursing, NZNO, student, workforce planning | Permalink. 8,000 signatures! 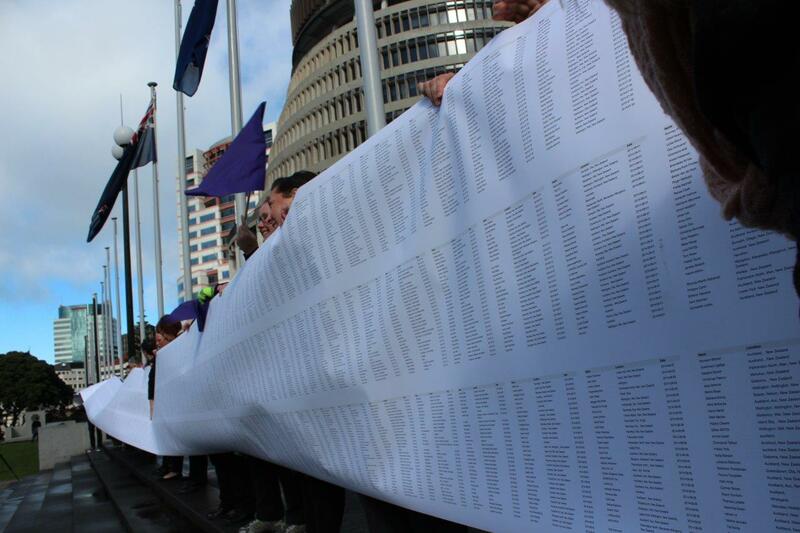 Petition goes to Parliament. Today we took our 8,000 strong petition calling for a nurse entry to practice position for every new graduate nurse to Parliament. 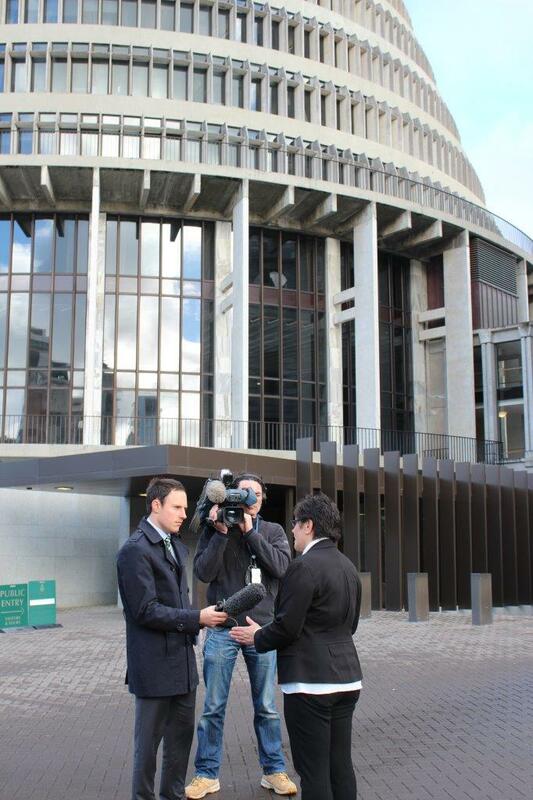 Ryan Boswell from TV1 and his cameraman were waiting to find out what was going on. NZNO president Marion Guy talked about the nursing shortage New Zealand is facing – we will be short more than 15,000 nurses by 2035! Kaiwakahaere Kerri Nuku explained how important it is to have a homegrown nursing workforce. We need nurses who are representative of our population; that means we need to train and retain way more Maori and Pacific nurses and rely less on internationally qualified nurses. 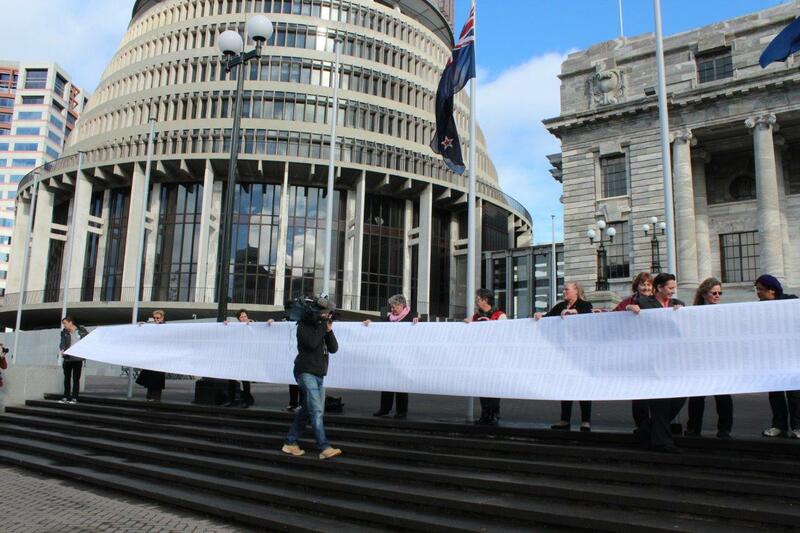 We had a quick photo with the petition before Marion, Kerri and our CE Memo Musa went into the Beehive to meet with Minister of Health Tony Ryall. An entire class of school kids spontaneously joined us! Marion, Kerri and Memo head into the meeting. 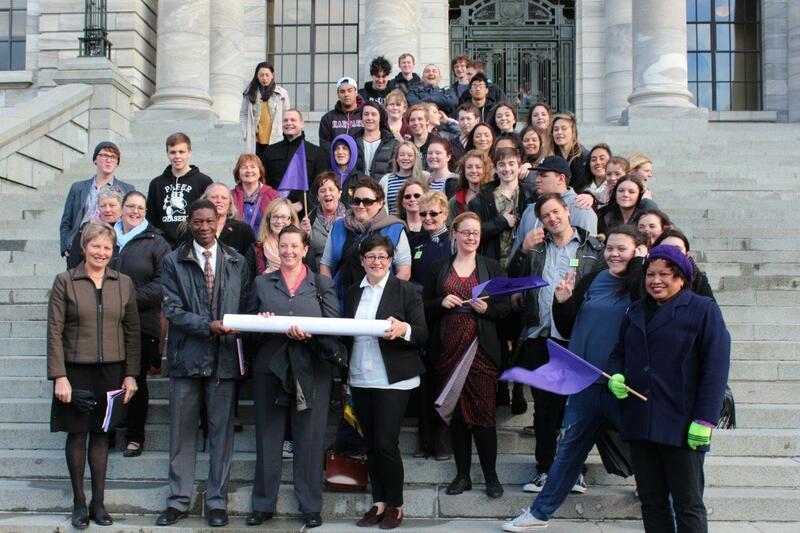 The rest of us, enrolled nurses, registered nurses, student nurses, new grads, delegates and NZNO staff, unfurl the petition. It’s massive! 8,000 signatures takes a lot of paper to print. Here’s hoping the Minister sees the sense in what we’re asking for. The nursing workforce must be a priority. Tags: advocacy, collective action, DHB, funding, health politics, HWNZ, NETP, new grad, petition, student, workforce planning | Permalink. 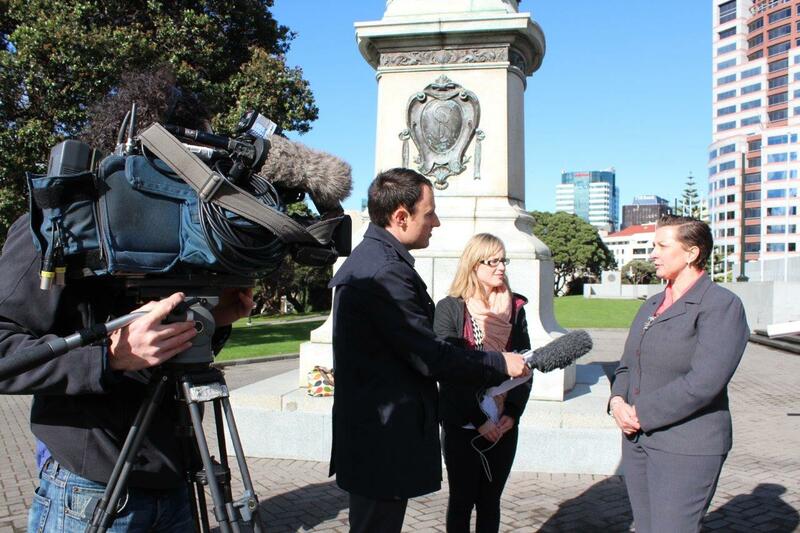 NZNO acting professional services manager, Hilary Graham-Smith answers a few of the questions people have been asking about our campaign to get a ‘nurse entry to practice’ position for every new grad nurse. Q: Aren’t the tertiary institutions just churning out too many nurses? It’s just “bums on seats” with no thought for the workforce needed. A: The NZNO petition calling for 100% of new graduates to be employed in a NEtP programme has drawn comment about the role of the education providers in creating what is seen as a glut of new graduates i.e. the problem of lack of employment for new graduates is seen as a consequence of large intakes of students to boost enrolment numbers and keep the tertiary institutes fiscally upright. NZNO has been working with other national nursing organisations (known as the NNO group) in developing a report on the New Zealand nursing workforce for Health Workforce New Zealand (HWNZ). The report describes the demographic and fiscal challenges facing the health system and plots these against the challenges facing the New Zealand nursing workforce. The challenges to the system are the growing and aging population with the incumbent increase in demand for health services. The challenges for nursing are similar with 50% of the nursing workforce predicted to retire over the next 21 years. Filling the gap requires forethought and planning, not in 21 years time but now, including knowing the numbers of student intakes in tertiary institutions and whether these are appropriate for future nursing workforce requirements. Q: How can there be a shortage of nurses if the ones we’re training can’t get a job? Doesn’t that suggest the opposite? A: The NNO report states that if everything remains the same (student recruitment, retention, numbers active in the workforce) then we will have sufficient nurses in the workforce until about 2020 but maintaining the existing status quo will result in a shortage of 15,000 nurses by 2035. The supply issues need to be addressed now both in terms of recruitment and retention and the NNO group has signalled the need for those workforce planning conversations to occur across the sector so that we have enough nurses and so that the nursing workforce reflects the needs of our population. Q: What’s the big deal about NEtP anyway? Shouldn’t nurses just get a job like any other new graduate coming out of a tertiary institution? 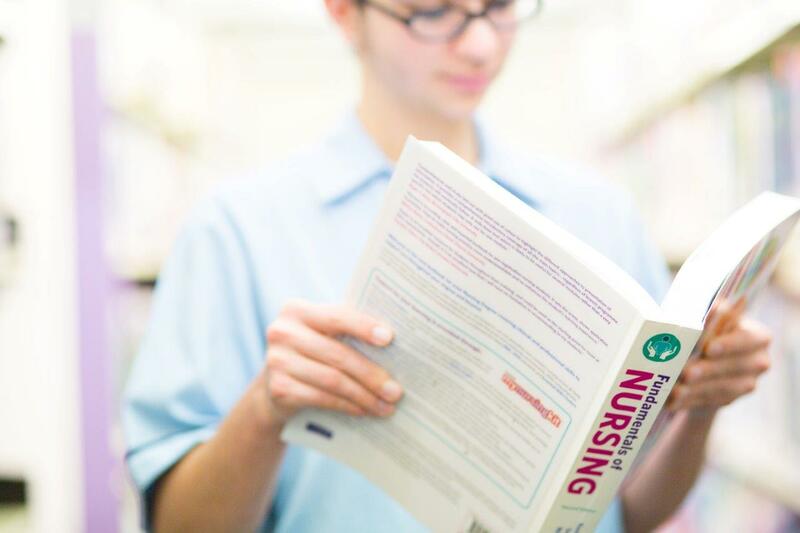 A: The aim of the NEtP programme is to ensure that new graduate nurses commence their careers in a safe, supported clinical environment where they can grow their skills and confidence as RNs. It provides a framework for further learning and development and contributes to the development of a sustainable nursing workforce. The education providers and their curricula are subject to monitoring and approval by the Nursing Council in order to ensure a high quality of delivery and achievement. Q: Why do we need a plan? Isn’t “supply and demand” enough? A: Our campaign for 100% employment of new graduate nurses is as much about the need for a nursing workforce plan, something which is woefully absent at present. Given the predictions in regard to the shortage of nurses NZ will experience in the not too distant future we want Health Workforce New Zealand (HWNZ) to realise its commitment to work with the NNO group and sector to put a plan in place to avoid this shortage. Our new graduates are an important part of that plan in terms of managing the supply side pressures. Q: Nice idea, but where’s the money going to come from? A: Medicine (ie doctors) currently receives 60% of HWNZ funding for workforce development. 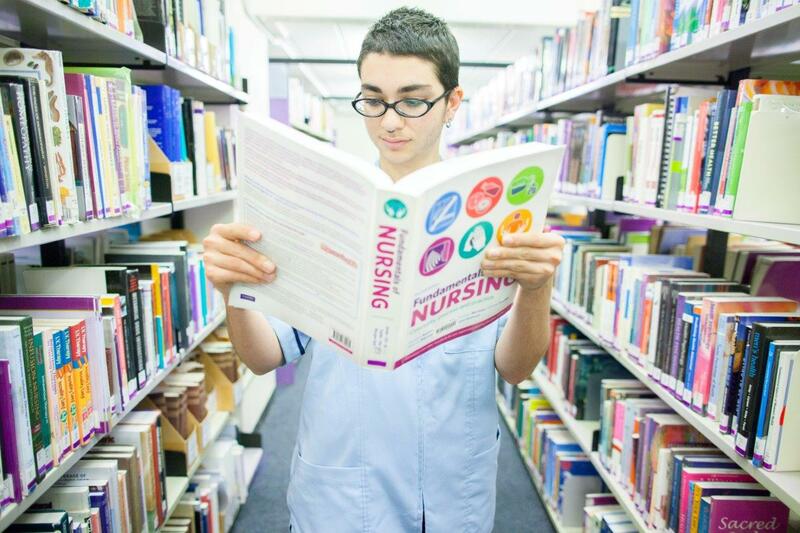 Nursing shares the other 40% with other allied health professions. We believe it is time that nursing as the largest health workforce are given an equitable share of the funding so that we can recruit to and retain our New Zealand prepared nursing workforce. We’re asking the Minister of Health, Tony Ryall to commit to 100% NetP for new graduate nurses and to come up with the funding to achieve this. And we’re asking you to sign and share the petition with your family and friends. 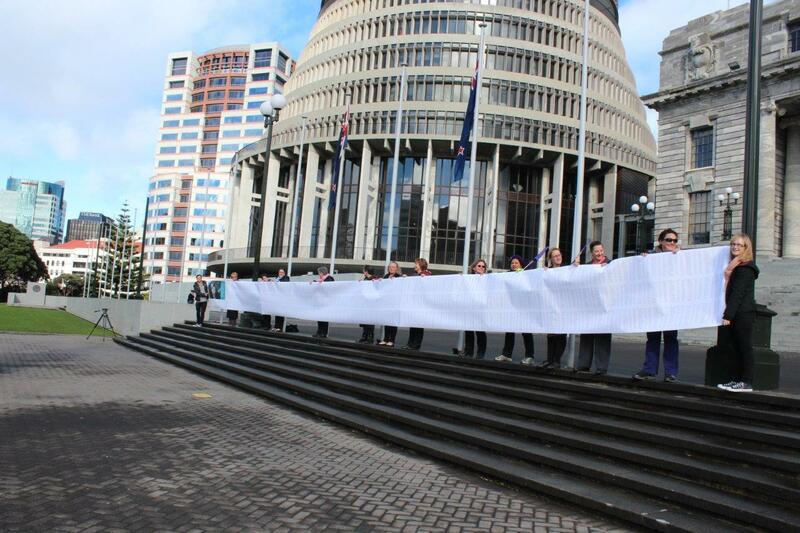 Tags: collective action, health politics, HWNZ, NETP, new grad, petition, student, workforce planning | Permalink. A new grad nurse talks about what it’s really like to be failed by the system. After not receiving a NETP position after graduating this new grad did volunteer work to keep up her skills. 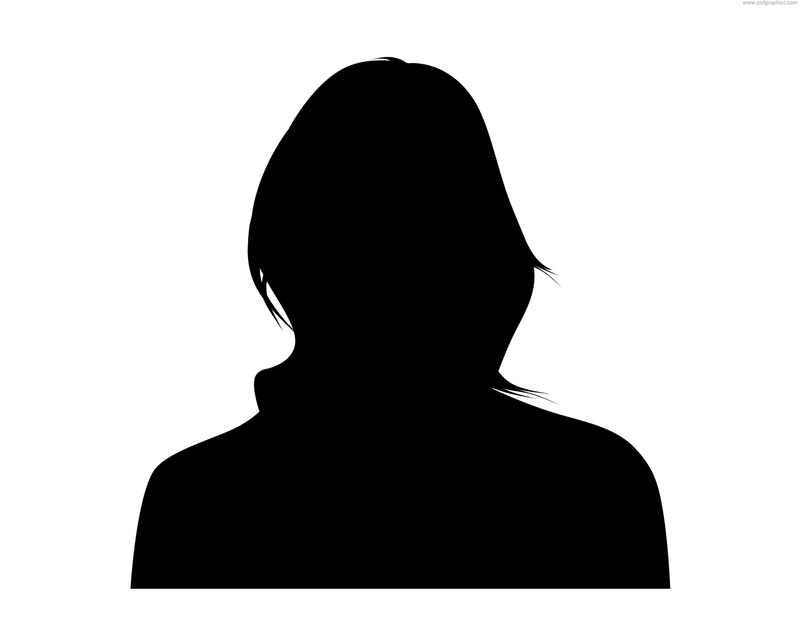 Recently she got a part time position as an “emergency response attendant” at a retirement village. I am happy to share my story. What I want most out of this is for other people to feel brave enough to speak out. And for the government to come to the party and provide new grad nurses with the job opportunities and Nursing Entry to Practice (NETP) positions that they require. I suppose my biggest gripe is that I was never ever told throughout my degree that there were limited NETP positions and so, along with my friends, I had the attitude that I would get a NETP position. The last year of my degree was tailored around paediatrics, where I was totally in my element, working in the area I am so passionate about and the reason I chose nursing as my career. I am well aware that New Zealand has an experienced nursing shortage… but I feel that the answer to that is to support those new grads who trained in NZ to get NETP positions and then there will be more experienced nurses. I am no politician, but I’m sure there are better solutions to this situation. I feel pretty devastated to hear about NZ saying we are short on nurses when there are hundreds just like me. I know I am lucky to have the job at the retirement village after months of unemployment but I also know it’s not what I trained to do. I have dreams of working as a registered nurse with children and their families with full support from other nurses and clinical preceptors. New grads like me are being forced into unsuitable jobs and, although we apparently have a nursing shortage, at each of the six extra interviews I had after my ACE interviews in November, I was unsuccessful due to more experienced nurses applying for the same position. So while I reapply for ACE and hope and pray that I am successful, I will keep trying to find answers to a situation I now do not understand at all. There really isn’t much to say about it except that it’s unfair on so many levels. I just hope through my voice I can help other new grads and nursing students because I would never wish for anyone else to experience the amount of disappointment I have in the last six months. Tags: advocacy, HWNZ, NETP, new grad, Stress, student, workforce planning | Permalink. New grads – we’ve got your back! There has been a lot of media lately about the situation new graduate nurses are finding themselves in after graduation. Many struggle to get nurse entry to practice (NETP) places, a scheme whereby newly graduated nurses are supported and mentored for their first months in the workforce, and those who are not successful in getting a place on such a programme also struggle to find a nursing role because employers want experience. There is commentary from various quarters that we should train fewer nurses but we have a looming nursing workforce crisis as many of the current workforce move toward retirement. We need to educate and prepare the replacement workforce now, and we also need to plan for how we will employ and support them so that they are ready to replace today’s experienced and skilled workforce. It is Health Workforce New Zealand’s (HWNZ) job to make sure supply meets demand in the health sector. So, what are they doing about preparing such a plan? Precious little to date. The result is that newly graduated nurses are paying the price, with massive student loans and limited chances of employment. We estimate that around 500 nurses each year are not able to find NETP places. Some will find employment in various parts of the sector but many find employment outside the sector; in retail for example, just to pay the bills. A number will inevitably take their talents overseas. The numbers are terrible, and the impacts on families and communities will be felt across the country (and economy). Students and new graduates are contacting us daily with sad stories of how their dreams of a nursing career are fading. And like Michelle Duff’s article says, these nurses should be in “hot demand”! It’s a disaster for individuals and the health system too. We want to see some change. 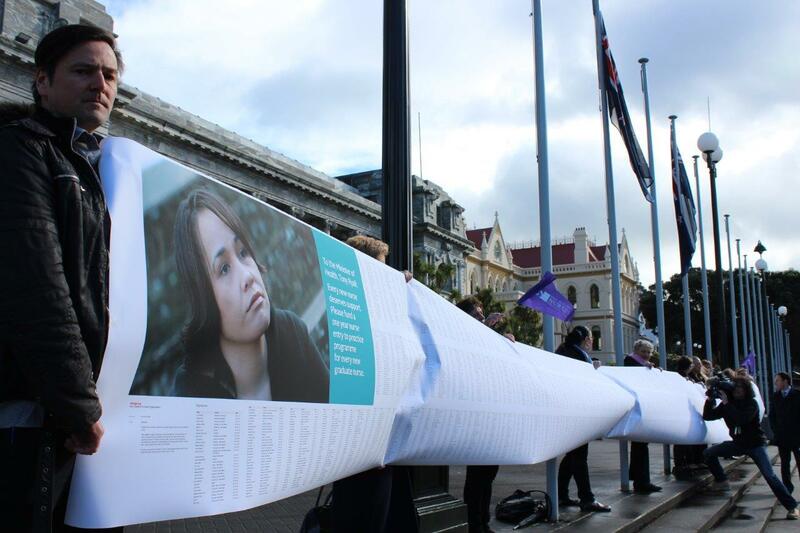 NZNO wants to see 100 percent employment for every single nurse graduate who wants a position in the New Zealand health sector. We want our new graduates to be well supported in practice and to have sound preceptorship / mentorship. New Zealand is going to be around 15 000 nurses short by 2035, so we’re going to need them. We want them to have NETP placements that are meaningful and that provide an opportunity to grow their clinical experience and clinical practice in a supportive environment. 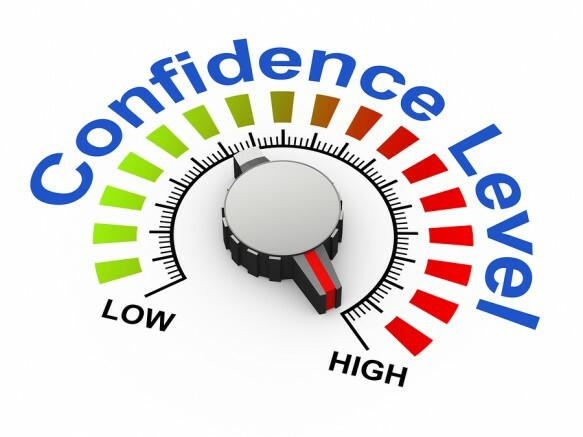 We want a confident, experienced, highly skilled nursing workforce. New Zealand deserves it. Fortunately, NZNO is a large organisation; 46 000 members have a lot of clout, and we are using it to get a great result for our student members, now and in the future. 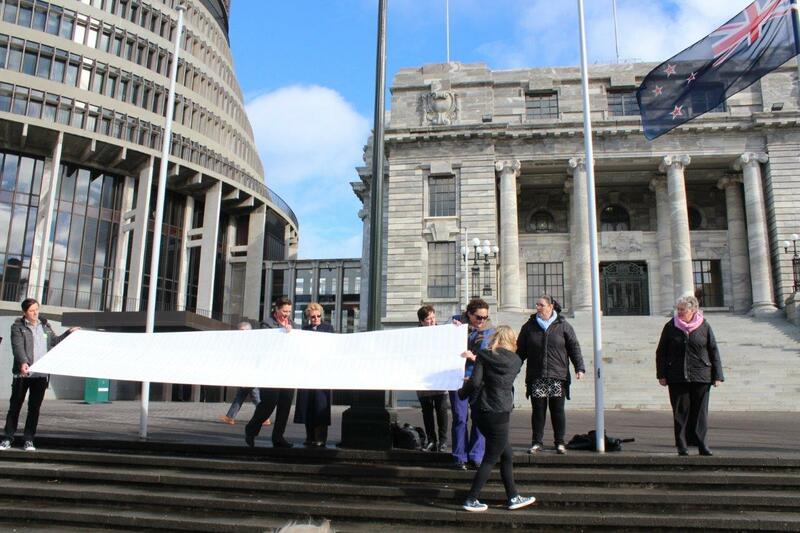 We have raised the issue along with the National Nursing Organisation group at the Health Workforce NZ meeting on November 28th last year and it was prioritised by that group as an issue for urgent attention. We are raising the issue in the media whenever we can. 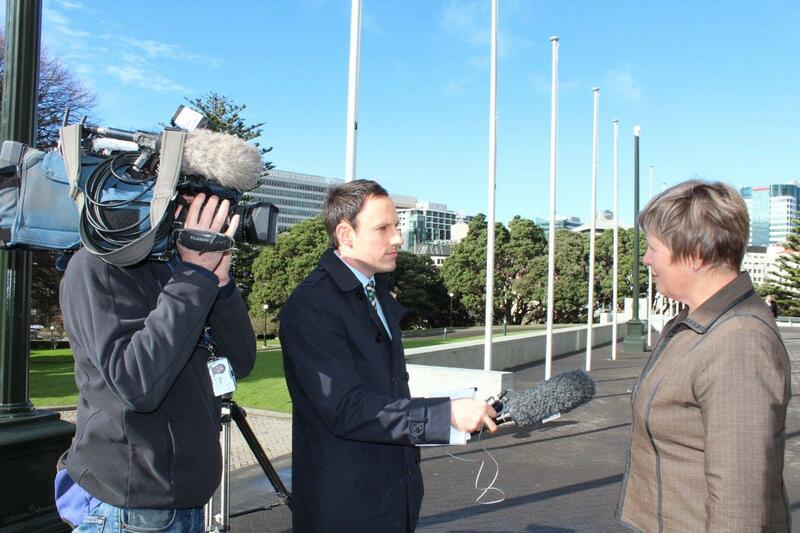 Public pressure, alongside private pressure on Health Workforce NZ is surprisingly effective. The Minster of Health will not want the issue to remain unresolved during an election year. 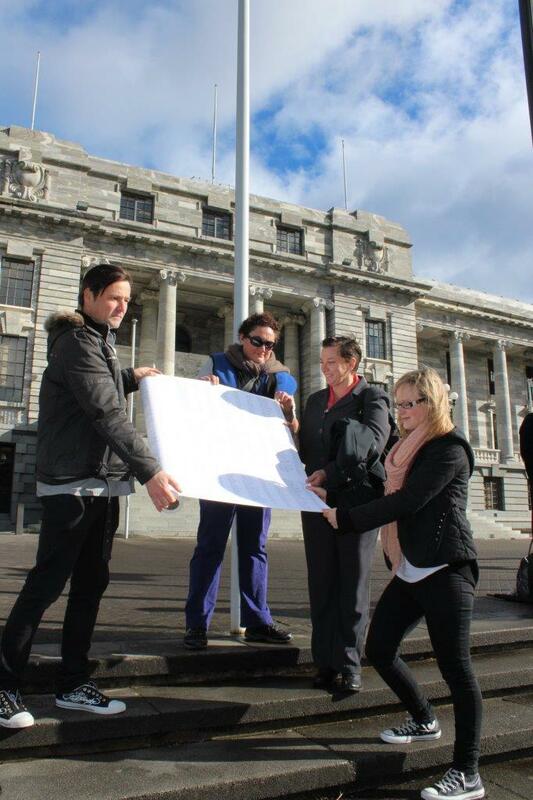 We raised it with the Minister late last year in a meeting and agreed that a solution needed to be found. NZNO has a clear ask of HWNZ – step up and work with the DHBs and the rest of the health sector to develop a robust and sustainable workforce plan for nursing. Tags: HWNZ, NETP, new grad, student, workforce planning | Permalink.